PT100 table's low 16" height range is ideal for lower patient positions and it makes wheelchair transfers safe and easy. 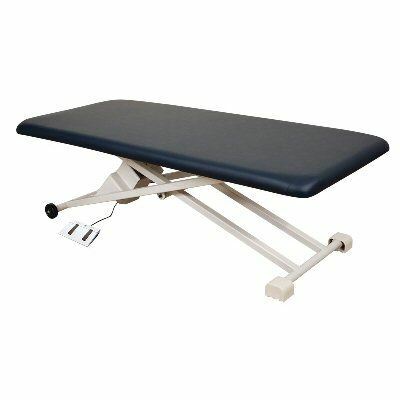 The sturdy base enhances the therapist's ability to establish effective manipulation vectors while being ergonomically adjustable to ensure safety for both the patient and the therapist. Length: 73" 1.75" Firm Top Lifting capacity: 550 lb Height: 16-34" Width: 29" Additional shipping charges apply and will be added on order confirmation.